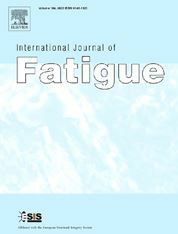 Professor Guozheng Kang was selected as a new member of the Editorial Team of theInternational Journal of Fatigue, effective 1 October 2017. Professor Guozheng Kang is a Chair Professor of Mechanics at Southwest Jiaotong University. He serves as Director of the State Key Laboratory of Traction Power and Dean of the School of Mechanics and Engineering. Dr. Kang has received numerous awards, including the Distinguished Young Scholars of NSFC in 2010 and Chair Professor of Chang Jiang Scholars Program from the Ministry of Education, China in 2014. His research activities focus on cyclic plasticity and viscoplasticity, fatigue failure and life prediction, low-cycle fatigue, multiaxial fatigue, fretting fatigue, rolling contact fatigue, and ratchetting-fatigue interaction for metallic and polymeric materials, as well as the thermo-mechanical fatigue of shape memory alloys. He has authored or co-authored more than 210 research publications in refereed International Journals and Conference Proceedings.